Hansen Trustee Brien Stockman, left, participates in the ribbon cutting event at Colby Community College. 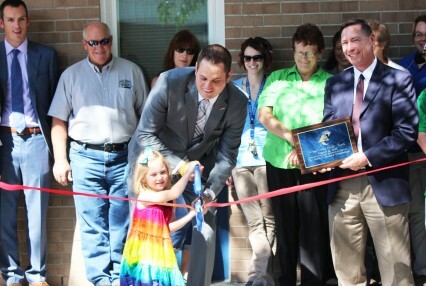 CCC celebrated the opening of newly renovated student housing just in time for the start of the fall semester. In October 2015, the Hansen Foundation matched locally donated funds with a $289,000 grant to complete a total remodel of 40 student housing units at the college. These student housing units had never been renovated since they were constructed almost 50 years ago.